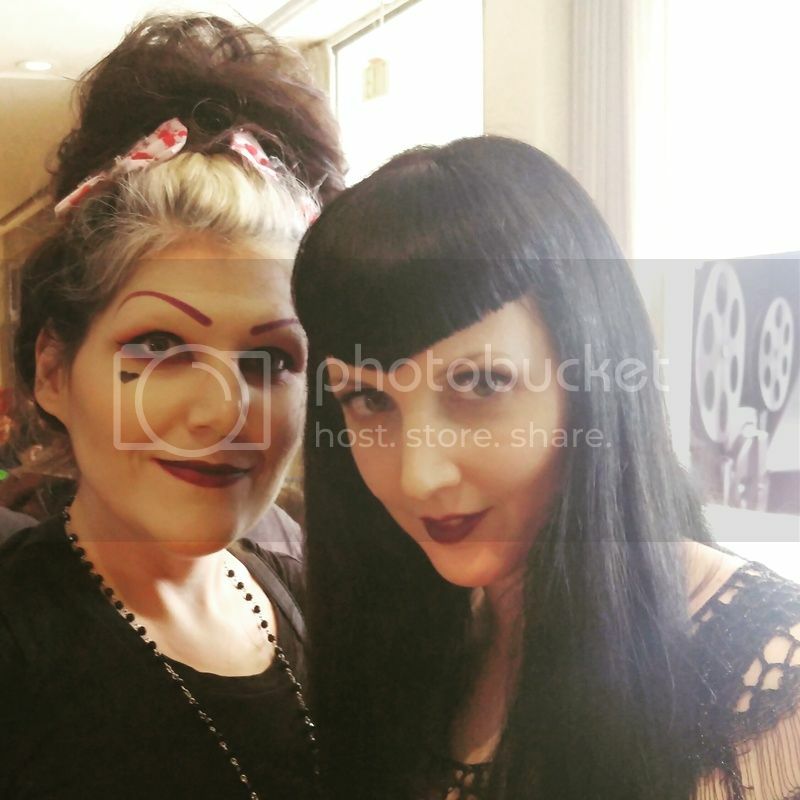 Last weekend I got to go to Sinister Creature Con in Sacramento with the boyfriend. It was my first con and even though I had a lot of anxiety about the crowd, I was really pumped on going! Matt and I watched/re-watched some of the movies that featured guests that would be there starred in. Matt has more photos on his blog, I am very shy about approaching people and to get the photos I did were nerve racking. First up in Wednesday Mourning - goth model and TV personality. She was passing out free coloring pages at her table. I did not want to ask her for a photo at first (nerves!) but after chatting with her for a minute I did. We also met Felissa Rose star of 1983's classic Sleepaway Camp. She was the nicest person! We talked to her for the longest time. She was engaging and very friendly. She even offered me some of her Pop Chips! 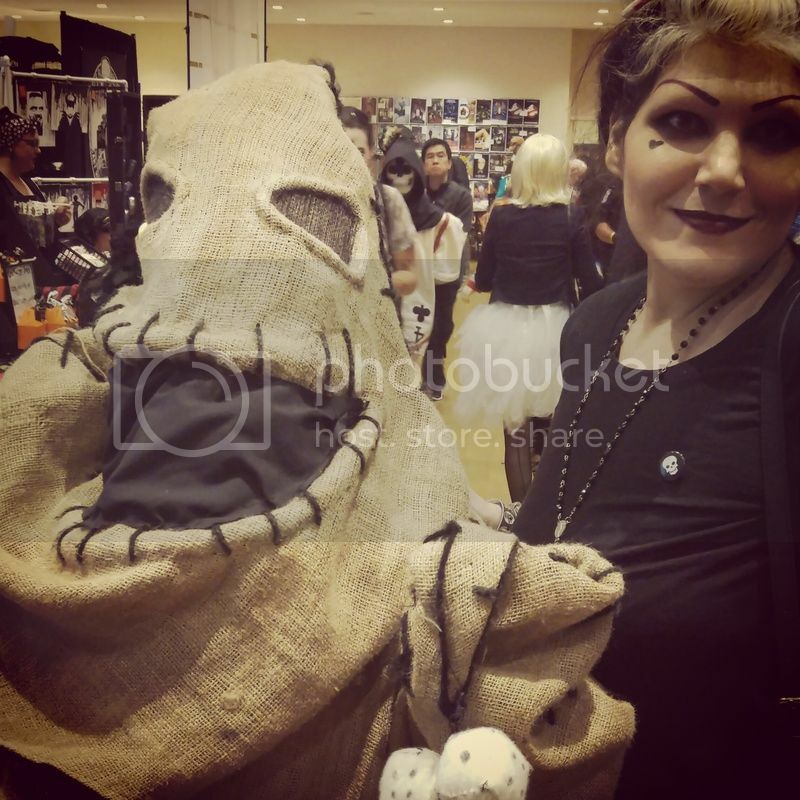 We left before the costume contest took place but I got to snag a photo with someone dressed as Oogie Boogie! In the coming days I will post some of my haul and other goodies!